EEI provides our clients with innovative, engaging concepts and event design that can be modern or traditional. We can provide as much or as little as you require to execute a perfect event that exceeds expectations. Friendly, knowledgeable, attentive, educated professionals collaborate with you and demonstrate the attention to detail, creativity and expertise you desire. With close to two decades of experience, we work with corporations and non-profit organizations locally, nationwide and internationally on their event requirements. 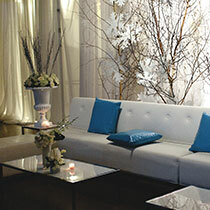 Be it large or intimate, over-the-top or conservative, an expert works directly with you to design the perfect events. Whether you require turn-key service or services á la carte service, we customize our event design specifically to your objectives and needs for many types and sizes of events.